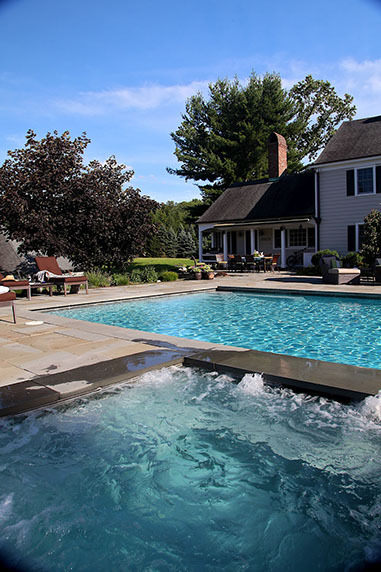 This Peapack-Gladstone, NJ pool sits in a beautiful rural setting. 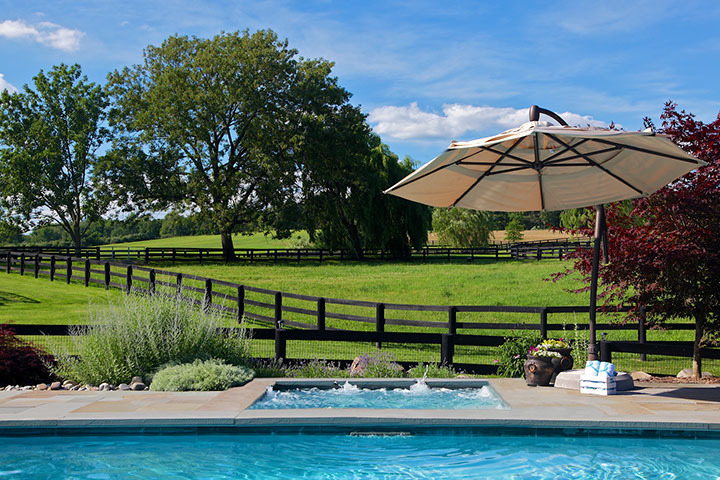 The space was designed to enjoy the picturesque country setting in the background while swimming laps in the pool. The landscape design and plantings are subtle, softening the hardscape but allowing open views from all angles to the rolling country side surrounding. 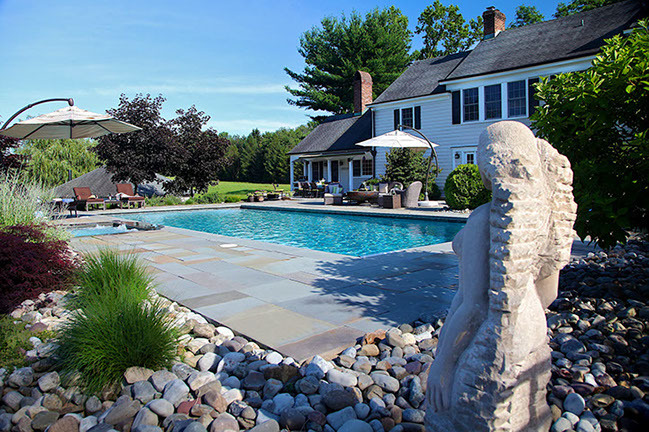 Natural blue stone and river jack decorative stone seamlessly blend the pool in with the surrounding nature. 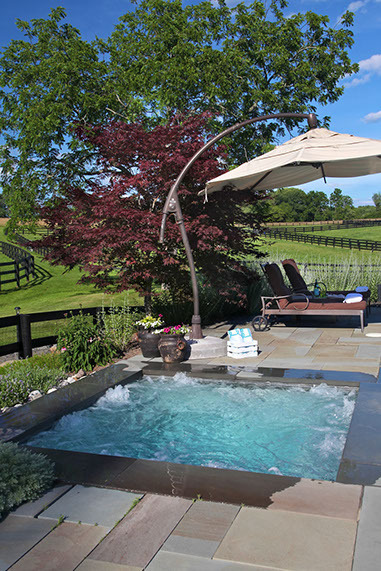 The hot tub was built flush with the pool deck again allowing the beautiful views into the distance from the pool. 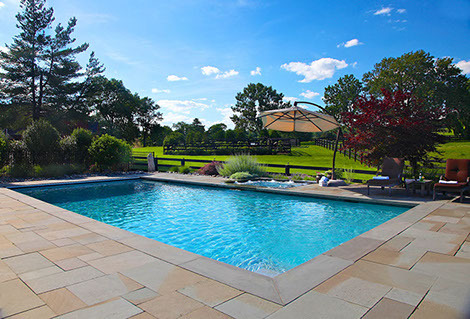 This rectangular pool is ideal for swimming laps. 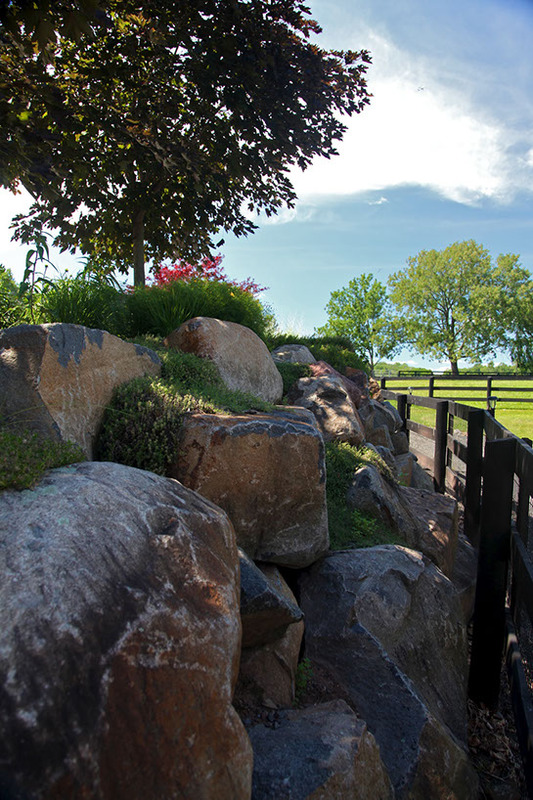 Its a great place to cool off and enjoy the scenery. 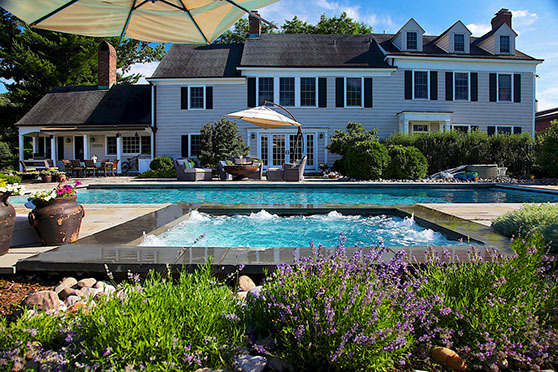 This Spa sits flush with the pool deck instead of being raised. 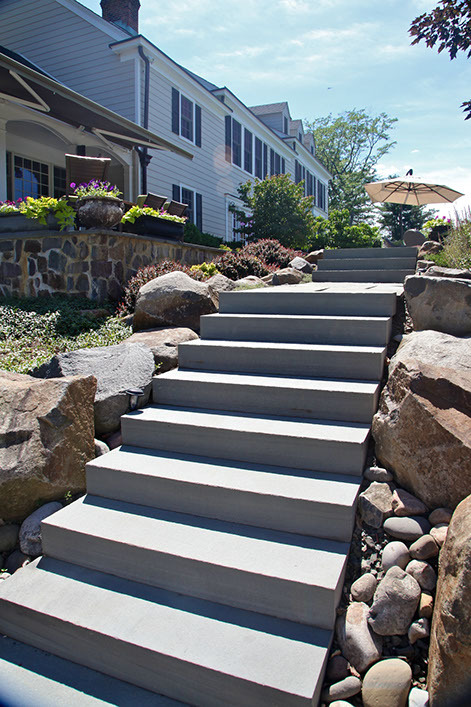 This is to maximize the view out into rolling hills of the country side beyond. 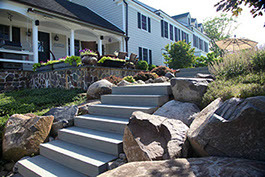 Here are natural blue stone super treads surrounded by natural boulders and river jack stone. 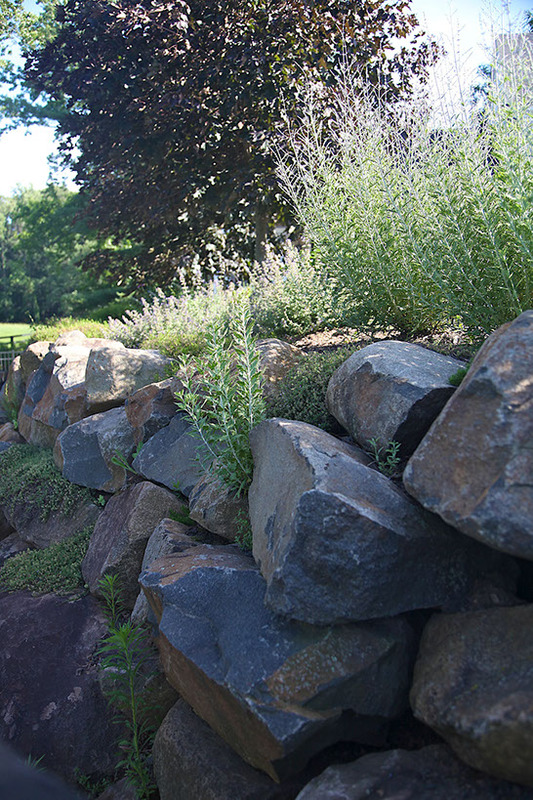 These retaining walls were built with natural boulders to keep everything as natural looking as possible in this space. 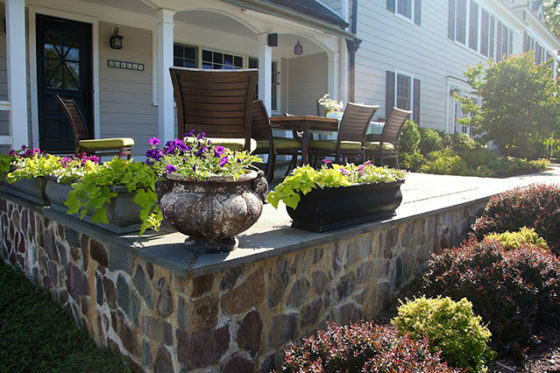 These retaining walls were planted to soften their look and to add some color and natural beauty.